Nicole joined Owens Estate and Wealth Strategies Group in 2018 as a Client Service Associate with special focus in assisting our Marketing Director with marketing and event planning. You will likely see her working alongside Caitlin in the preparation of our events. Behind the scenes, Nicole is a tremendous asset in assisting with the implementation of new marketing ideas and strategies. She graduated with three AA degrees and has over ten years of experience in the insurance industry. 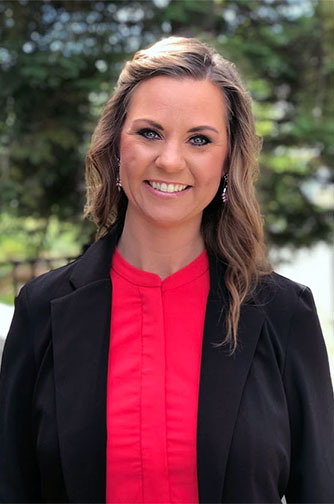 Nicole grew up in Vacaville and moved to Nevada County with her family in 2000 where she met her husband Josh at a Nevada Union Baseball game. They married four years later and now have the privilege of raising their three boys in Nevada County. In her spare time she is actively involved in volunteering for several local non-profit organizations, church, and schools throughout our community. She enjoys the beauty that Nevada County has to offer and is proud to call it home.